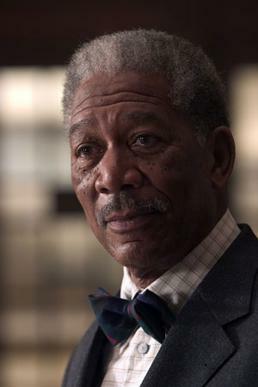 I think by now most of us agree that The Dark Knight is a spectacular movie. One might ask the question, What makes The Dark Knight spectacular? Well, you can find my opinion to that question here. This list is dedicated to one of the many big reasons why The Dark Knight is an incredible movie, and that reason is the ell-acted characters behind the movie. Here’s my ten favorite. This aggressive bank manager runs a mob bank with an iron fist. He’s not afraid to kill any clowns (literally) who try to steal from him and his bosses. The Wayne Enterprises executive who knows who Batman is and eventually releases that the world needs him, luckily before he spills the beans. The heir to the Falcone crime syndicate became too power hungry when he and his friends unwittingly hired The Joker to do their dirty work, not knowing what he was actually getting him self into. A much more arresting Rachel Dawes than the first. Instead of just being a damsel in distress, she was able to hold her own when needed. He is a comic relief character who plays a lot bigger part than in in the first. He can help Batman with any toy he needs and knows better than most the rue meaning of right and wrong. The ultimate good in a cruel world. So good that he’s will ing to take the blame for multiple murders in order to save the the people who hate him. 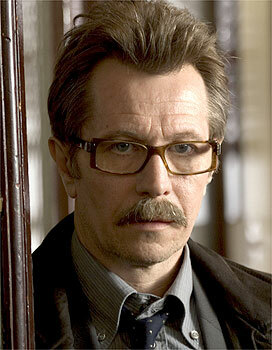 Commissioner Gordan is a brave and good officer, one of the few. He faked his death in order to stop the plaque that was spreading in gotham. A good man who would give his life to save the people he loves. A kind and intelligent butler whose always there to help the people he loves when they’re down. 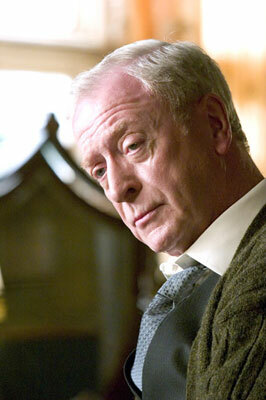 He’s played to perfection by Michael Caine and he is like a father to Bruce when he most certainly needs one. Mr. Dent represents the ultimate representation of man vs. self. In the beginning he is the definition of good, knowing farwell that Batman is more than just a vigilante, but a hero among men. Half way through he becomes a murderer in search of revenge who by the end of it all has Joker’s words coming out of his mouth. The Joker is not just the greatest Dark Knight Character, but also the greatest character in film history. No explanation I give here will do the character so just go here. All I can say is that he’s intense and comically evil. He’s brilliantly made into the most iconic villain of all time in my opinion by the genius of an actor Heath Ledger. He’s pure evil, a masterpiece of a performance by a brilliant actor. This entry was posted in All, Film Top Ten Lists and tagged Alfred Pennyworth, batman, Best Dark Knight Characters, Bruce Wayne, Coleman Reese, Harvey Dent, heath ledger, heath ledger's joker, Jim Gordon, Lucius Fox, Rachel Dawes, The Bank Manager, the dark knight, The Dark Knight Characters, the dark knight joker, The Joker, Top Ten Dark Knight Characters, Two Face. Bookmark the permalink. this list is perfect and omg im gonna see the dark knight for the 4th time tomorow. heath is amazing. How are they going to top him for the third movie??? If they were smart they’d end on a high note and not run the series into the ground again by making endless sequels. This movie is awesome. The chances of them making something as good or better is slim to nil. It’s like having lightning strike twice. Look at Spiderman 3, Pirates of the Carribean 2 and 3, Matrix Reloaded and Revolutions and on and on. I say keep pushing the envelope for new characters and new stories and don’t rest on your laurels of success by churning out mediocre serials. At $12 a ticket and a waste of 2 hours of my life Hollywood owes us that much. Nice pictures by the way…..